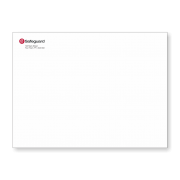 #10 Single Window Envelopes measure 4.125” x 9.5”, and have a single clear window. 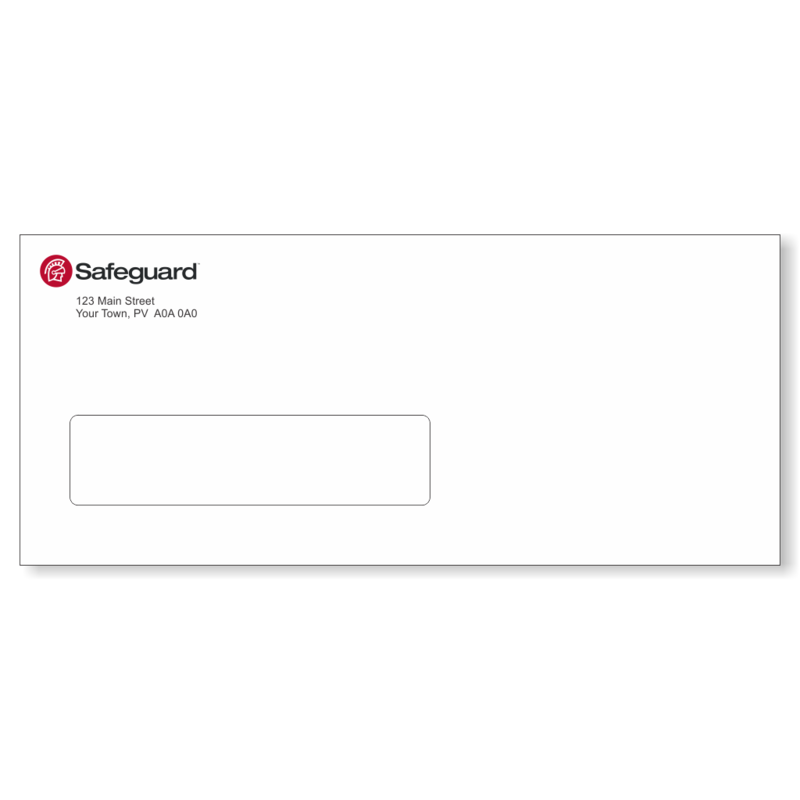 #10 envelopes fit an 8 1/2″ x 11″ sheet of paper folded in three. 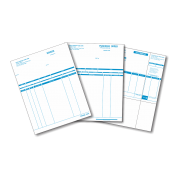 The window makes these envelopes perfect for mailing out invoices, statements or other items that already have delivery addresses printed on a document. 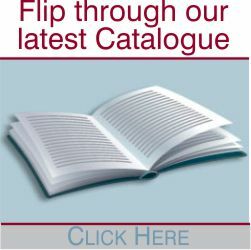 Our number 10, single window envelopes are produced from business class white stock and open along the top. These envelopes can be customized with your company name, logo and return address in either 1 colour, 2 colours or in full colour (CMYK) process. 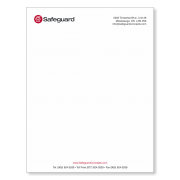 Number 10, single window envelopes measure exactly the same size as standard #10’s, at 4.125” x 9.5”. The only difference is that these envelopes have a single clear window. 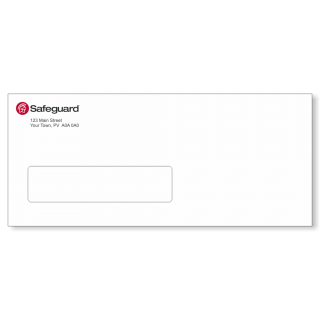 This can be useful if you are sending out form letters or other material with a name and address printed on it. 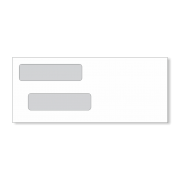 Simply fold the letter with the address facing out, and it will show through the window, reducing the need to run the envelope through your printer. If you would like #10, single window envelopes in a specific stock, with foil stamping, or any other custom finish please contact us and one of our representatives will be more than happy to assist you.